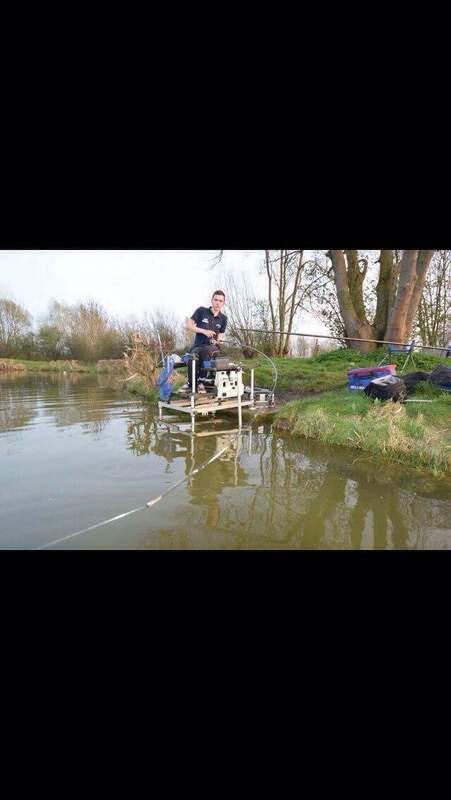 Liam Dennick Fishing : Colmic Next Adventure 45 rod. At alders farm on Sunday my weapon of choice for the pellet feeder was a Colmic Next Adventure 45 rod. My reason for this is it's such a soft action Rod. Meaning I can get away with going as light as an 0.12 hook length and don't need to worry about breaking when playing fish. 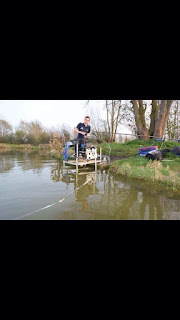 The rod has no flat spots at all meaning when you get the fish to netting range, every lunge is cushioned by the rod. For those that have been to alders farm in Milton Keynes know how hard these fish fight and hook pulls at the net are quite common, So I think this rod just prevents those meaning more fish landed. I pair this rod up with a 300 Zartan Reel which balances the rod lovely making casting as smooth as possible. Because I'm only fishing 30m I don't need a great big reel to make a distance so the 300 suits it perfectly. On previous rods I have had problems with the reel seats slipping after a few hours of use but once you've tightened your reel onto the Next Adventure 45 it doesn't move at all, and at the end of the day, if your fishing a big match or your catching well, the last thing you want is your gear to let you down. Which could prove costly at the end of the match.